This blog came about this way. I work with a group of AP mathematics teachers in about 40 schools in Arkansas. Since I could not see them all each week, about a year ago I thought to write the calculus teachers one or two e-mails each week to give them hints and advice on teaching calculus. Then it occurred to me that a blog would be easier to handle, would make past posts easier to find, and be a help (I hoped) to more than just my teachers. So last August I started. My plan was to do three posts a week, a schedule I have managed to stick to. Also I hoped to stay a week or two ahead of where they should be, so that what they liked could be incorporated into their lessons. Now is the time to finish up and start reviewing. And so, having discussed reviewing for the last few weeks, I will consider my first year as completed. For the next few months I will probably be posting less often. I will write about whatever I think you may be interested in, or anyway whatever I find interesting. In August, getting ready for a new school year, I plan to add to the topics I’ve already written about and fill in the gaps with topics I skipped. I hope you will continue to follow. You can sign up by clicking on “Follow Blog via Email” on the right sidebar. You will get an e-mail when a new post is available and not need to come here if there is nothing new. As always, I would like to hear from you. I would especially like suggestions about what you would like me to expound on. You may use the comment space below or write me privately at lnmcmullin@aol.com. 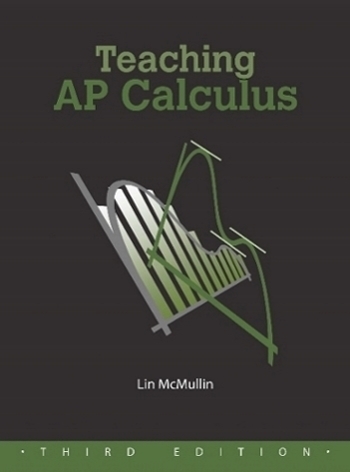 Your blog has been so helpful my first year teaching calculus. Thank you so much for this invaluable resource. Thanks Lin. I have enjoyed your posts and presentations this year. I have found your ideas on accumulation functions to be very helpful to my students. Keep up the good work.